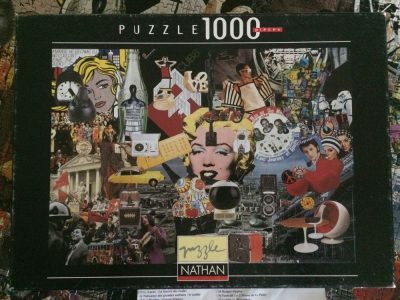 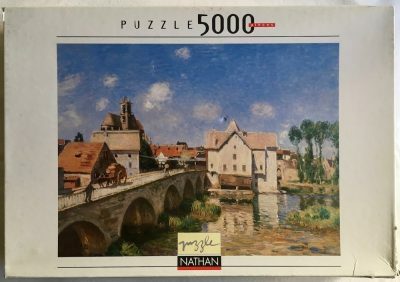 Nathan is the manufacturer of this lovely puzzle. 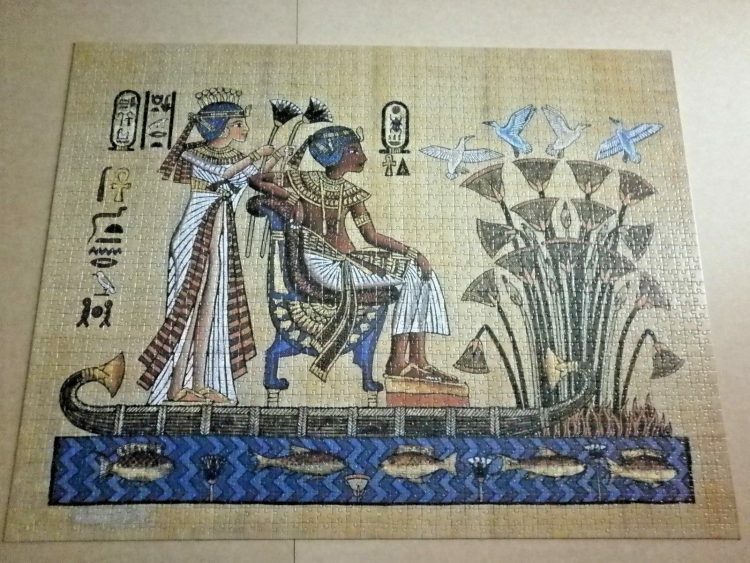 The title is The Pharaoh and his Wife. 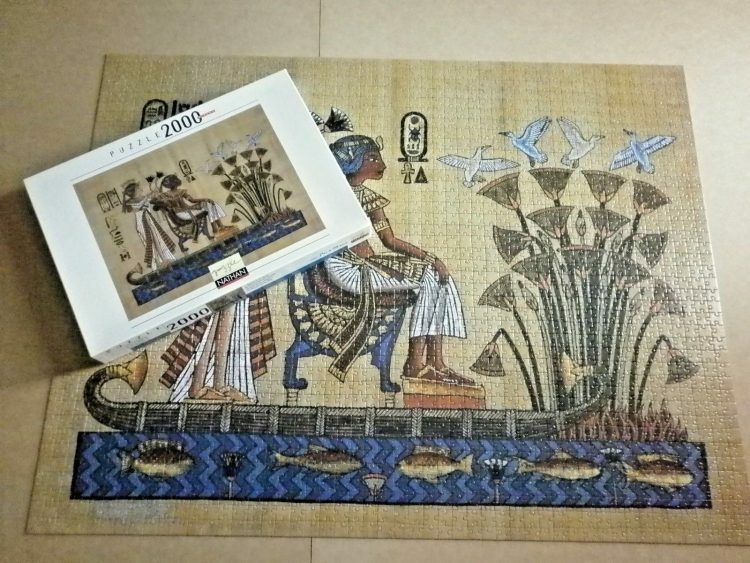 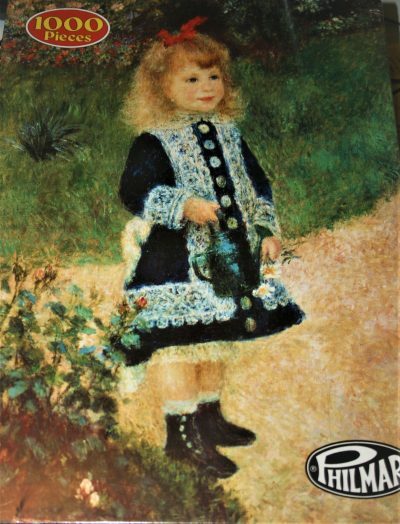 This puzzle is COMPLETE, as you can see in the photographs of the assembled puzzle. 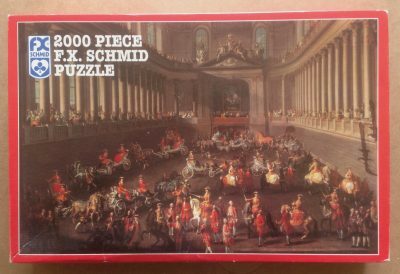 The box and pieces are in excellent, as new condition. 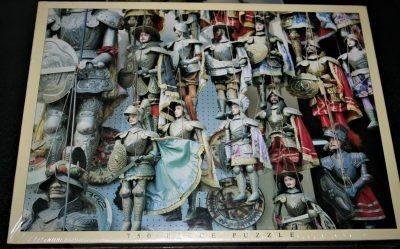 Puzzle size: 75.1 x 98 cm. 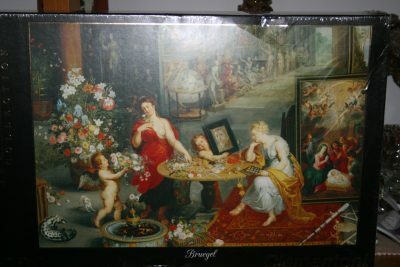 Box size: 43x 30 x 5 cm.